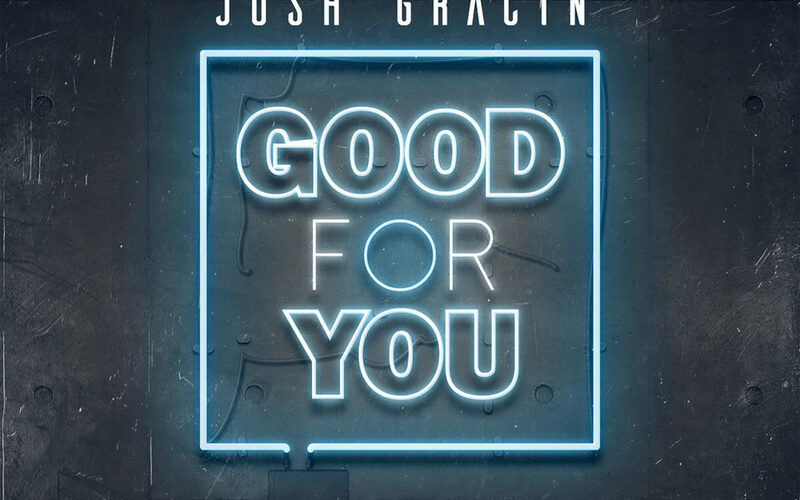 Gracin is releasing “Good for You” as a single via his independent label, Revel Road Records and a new partnership with Reviver Records’ marketing and promotion. He feels his new music will pull listeners in. “Good For You” was written by David DeVaul and Robyn Collins. 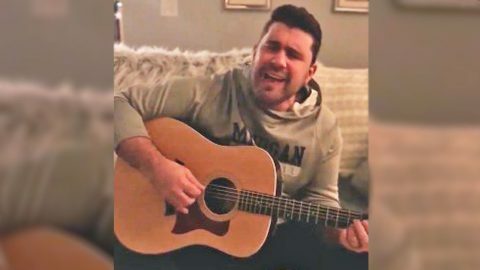 It’s been four years since Josh Gracin released a new single (“Can’t Say Goodbye”), but the American Idol alum has returned to the musical fold with a new single, “Nothin’ Like Us.” And today Billboard is premiering the video for an acoustic performance of the song. Though is has been a while between releases, don’t take that to mean that Gracin has been idle creatively. Actually, that’s far from the case, he says. Gracin is grateful for his big break on Idol back in 2003, where he placed fourth. But he does say that coming from such a show has its pros and cons. In the current state of popular music, one song reigns supreme, and that song is Ed Sheeran‘s “Perfect.” Originally released in September 2017, the song finally claimed the top spot on the Billboard Hot 100 in December. But the song’s success is much more expansive than that. In addition to topping the Hot 100, “Perfect” has reached the number one spot on the charts in 17 other countries, including Denmark, France, and Germany. Whenever there’s a song as successful as “Perfect” floating around, you can bet that other artists will want to offer their own spins on it. A song that popular also has the power to cross genre lines, which is why it ended being heard, and eventually performed by Josh Gracin. Gracin’s musical career took off after he placed fourth on the second season of the widely popular television competition series, American Idol. His self-titled debut album resulted in the production of a number one hit, titled “Nothin’ to Lose,” along with two more hit singles that landed in the Top Ten. Leading up to his performance, Gracin said that, “Perfect” is his “favorite Ed Sheeran song right now.” Without saying much more, Gracin flowed in to performing an acoustic arrangement of the song. While Sheeran’s original recording is naturally a light, slow-tempo tune, Gracin’s version is a certified country slow jam. By stripping the song down so it’s only his voice and guitar, Gracin makes “Perfect” much more romantic than it already was. You’ll see what we mean once you tune in to Gracin’s cover of “Perfect” in the video below. He’s sure to win you over in an instant! 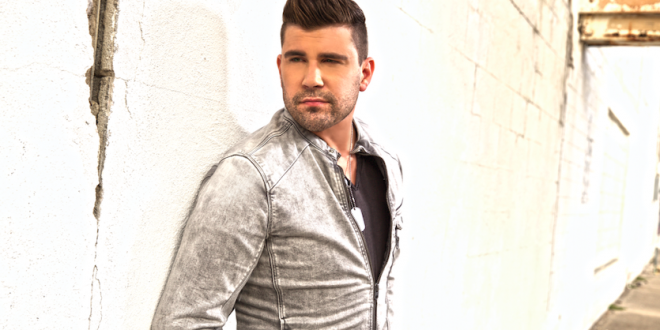 I recently had the pleasure of interviewing American Idol Alum, Josh Gracin. The country singer shares what’s next for him with his music, some of his favorite memories and lessons he’s learned thus far. I was born and raised in Michigan with four sisters and no brothers. I left Michigan when I was 19, and I joined the Marine Corps. After boot camp at Paris Island, I was stationed at Camp Pendleton California. Out of all the places I could have be stationed, Camp Pendleton was only an hour and a half away from where American Idol was being taped. After placing 4th on American Idol, I was blessed with an on-going career in country music. Can you share the funniest or most interesting story that has happened to you thus far in your music career? I wish I could give the details – but it’s not PG! It was a practical joke played on my road manager. It involved a non-PG item, a metal screw driver in a packed Denver airport, which caused him to set off security. Let’s just say his bag was searched in front of a packed Denver airport, and the item was held up for confirmation and recheck. What are some of the most exciting projects you’re currently working on? I am currently working on the 2nd half of my record, and it’s just about finished. Everyone working on the project is very excited about what we have put together. I have also been working on a new stage setup; for the first time since I began touring, I will have have a set with lights and screens to work with on select tour dates. Who are the most famous people you’ve interacted with? What was that like? When I first started out, I met Garth Brooks, Tim McGraw, Elton John and countless others. It was and always will be a surreal moment for me, anytime I meet someone I look up to and admire. Everyday, someone new inspires me. From my children, to someone’s random words, or act, or kindness that you see on the news. I really try to keep my eyes open constantly; you truly never know what will inspire you next. Who do you aspire to be like? I aspire to be all that God has given us the opportunity to be, through Jesus. I will never be perfect and my mistakes, many; but I will always strive to do for others as God has done for me. How have you used your success to bring goodness into the world? I would like to think I have, but I also know there is far more work to be done. I pray God continues to give me the opportunity to spread goodness, even if it’s one life at a time. What are 5 things you wish someone had told you when you first started, and why? Honestly, my answer to this question is simple. I’m glad no one gave me advice — as hard as my journey has been since coming to Nashville, everything I’ve gone through (good and bad) has made me who I am today. My mistakes have lead me to the person I am supposed to become, more so than the few right choices I have made. You can check out Josh Gracin’s latest single, “Nothin’ Like Us” here, and keep up with him on Facebook, Twitter and Instagram. Talk to us about the songs on your most recent EP “Nothin’ Like Us,” that released in February. An energetic, lyrical journey through what I believe country music is to me. Country music has always been about the story! You can take any country song and apply it to a moment in your life. Ten years down the road you can hear those songs and remember exactly what you were going through. Was “Nothin’ Like Us” born in Nashville or on the road? It was born all over. We chose all the songs based on how I related to them. Life has made me who I am today so we tried to tap into my many situations good and bad when deciding the songs for the album. “Redemption” was released in 2011 and your new EP “Nothin’ Like Us” came out earlier this year, What has changed in your life between then and now.. Was there a big difference in writing between these two. Everything! I am happy inside and out! My wife truly saved me from a road of anger and regret. She is the reason I stood back up and fought to get of the bench and back in the game. What made you want to become a musician? When I was 10 years old and discovered I could sing. I’ve loved all types of music ever since I could remember, but my heart was Country the moment I was exposed to Garth Brooks. You have played with a lot of artists in your career, who has left the biggest impact and why? Honestly, they all have! The country community has always been great towards me whenever we cross paths on the road. From actual advice to open arms, the country music community tries to build up each other. Anyone you would love to collaborate with? Garth, Brett, Maren just to name a few! What else is coming up for you for the remainder of the year? Continuing to visit radio to setup the release of the single Jan 15th! I know the importance of getting back out to radio and letting them know I’m willing to do whatever is needed! What’s the best thing to eat that’s deep fried? Chicken Tenders lol! I’m a big kid! What condiment do you always have in your fridge? What are your top three US cities for food? Favorite food to cook with that comes in a can? Chilli! A lot of the ingredients come in a can, so I think that counts lol! One junk food you know you could never give up? If you could be on a reality cooking show, what would it be? Anything on the Food Network! Aside from your passion for food and music, what’s the one thing that really keeps you ticking? My wife Katie and my children from my previous marriage. They keep me going, pushing me to go forward. 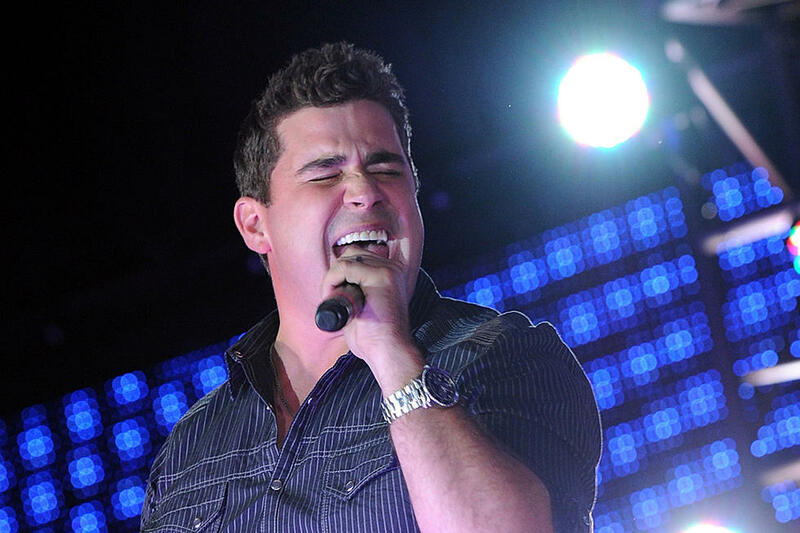 A Michigan native who grew up listening to country and R&B music, Josh Gracin catapulted to fame after auditioning for the second season of the hit television series American Idol. Josh, who was serving in the United States Marine Corps at the time, quickly became a fan favorite and won the hearts of viewers with his strong fourth place finish on Idol. Following his appearance on the series and the completion of his military service (he was honorably discharged in 2004), Josh released his self-titled debut album that summer. Three Top Five singles on the Billboard Hot Country Singles & Tracks chart later, the Recording Industry Association of America certified the album gold. “Gracin Nation” was wanting more, and Josh delivered in the form of his sophomore album, We Weren’t Crazy, which was released in 2008. The album produced five more chart singles, including a top ten in its title track. Redemption, Josh’s third album, was released in 2011 and showcased his growth as a writer, artist and producer with the hit single “Long Way to Go” making its way up the adult contemporary charts. Now, intermission is officially over. The Josh Gracin Drink It Gone Tour is rolling through the country playing sold out shows to fans from the East Coast to Down South. And when he’s not on stage, Josh is in studio — writing and recording the next generation of country music hits for his upcoming album. Dust off your boots. Get ready. Josh Gracin is back. 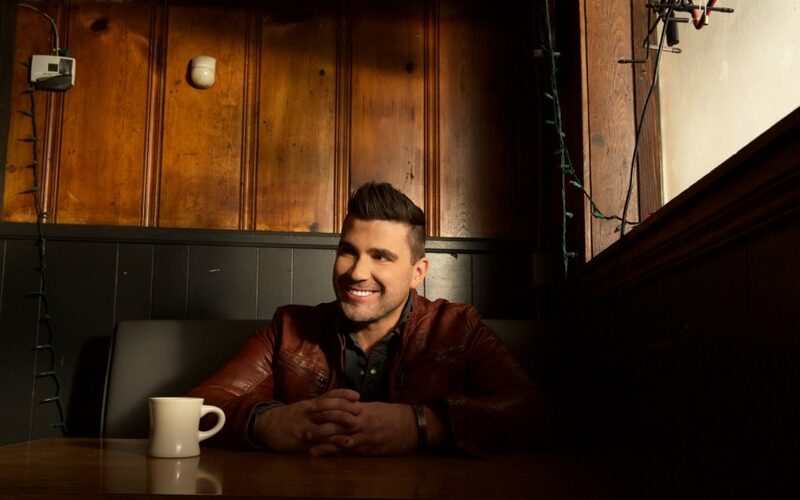 Josh Gracin is back at country radio and back in the game with a new single and a new outlook. Gracin recently released “Nothin’ Like Us,” and he tells Taste of Country that “things are going really well” as he travels the country to promote the song at country radio. The former American Idol Season 2 finalist had “written about 20 or so things” before he went into the studio to cut, he says. He asked his producer “right at the last minute” if there were any other songs they should consider. His producer played four songs for him, “and I instantly knew that I had some more work to do from the writing side,” Gracin confesses. “Nothin’ Like Us” was part of that batch, and Gracin knew immediately it was a song he wanted to cut. It’s the title song of his new EP, Nothin’ Like Us, Part 1, which is actually the first installment of an album he is releasing in halves. Do You Remember These Stars’ American Idol Auditions? Gracin has taken the reigns of his career by launching his own label, and he’s been through enormous changes in his personal life in recent years, too. In 2014 he made headlines when he posted what many fans thought was a suicide note on Facebook, and he subsequently lost half of his music rights in a divorce from his wife of 17 years. The singer is hesitant to discuss the specifics of those hard times out of fear of impacting his children. He is circumspect in looking back at that period, choosing his words carefully.